This story is part of our ongoing coverage on pesticides. I can’t tell them that they’re actually, they’ve crossed the line, two of their kids are going to have a problem. I can’t say that because you have to look at the entire population when we try to make these estimates and these predictions and so, for a single family, it may be totally harmless. As an analogy, a person may smoke for 90 years and never get lung cancer and that happens, but people who smoke, who chronically smoke are far more likely to get lung cancer and have other heart ailments and other issues than people who don’t smoke. And I’m convinced of that, but I can’t tell your grandfather that his smoking is absolutely positively going to give him cancer. I can’t say that. His individual metabolism, his defense systems, just works such that it didn’t happen. Then again, you can have somebody that gets lung cancer at a much younger age. 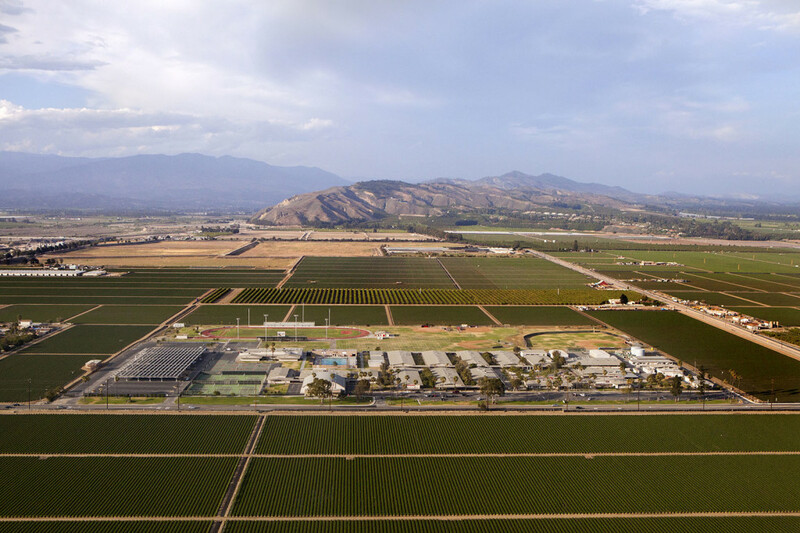 Amount: In Rio Mesa’s area, the state allowed growers to use 901,500 more pounds of 1,3-D than the original rules called for over a 12-year period. That’s nearly double the amount that state scientists believed was acceptable. Growers went over the safety threshold 10 out of 12 years. The fields in front of Rio Mesa, for example, used 72,100 pounds of 1,3-D over a 10-year period ending in 2012 (the most recent data available), and the fields to the east used 202,600 pounds. The risk: Scientists are divided over whether chloropicrin, a converted chemical weapon, causes cancer. While state scientists found evidence it did, a top official at the department said the data was too inconclusive to regulate chloropicrin as a carcinogen – which could’ve led to stricter limits. Amount: The area in front of the school used 407,200 pounds of chloropicrin over a 10-year span, while those to the east used 516,600 pounds. The risk: The state classifies it as a reproductive and developmental toxin. A 2013 study by University of California, Berkeley researchers found a connection between living near methyl bromide use and giving birth to babies who were lighter, shorter and had smaller heads. Amount: Over 10 years, the fields in front of the school used 142,100 pounds of methyl bromide over a 10-year span, while those to the east used 251,500 pounds. What can Ventura County do about it? Officials can’t snap their fingers and do much unilaterally. The state regulates pesticides. But the Department of Pesticide Regulation is now creating two new types of regulations that the county could try to influence. This spring, the department will be developing rules for notifying residents when fumigants are going to be applied. 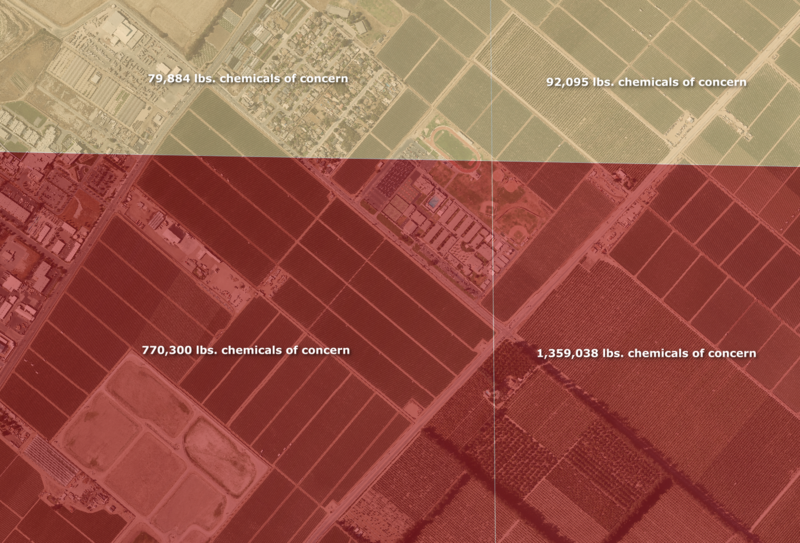 “As California’s population increases and more people live closer to farms and in agricultural communities, residents increasingly want to know what chemicals are being used around them,” said Charlotte Fadipe, the department’s spokeswoman. It will be holding workshops throughout the year. The first is scheduled for April 9 at 9 a.m. at the California Environmental Protection Agency headquarters in Sacramento. The department also is beginning to work on safety regulations for pesticide applications around schools. No dates have been set yet, but public meetings are expected to get going this year. “DPR is trying to come up with some ‘best practices’ to mitigate hazards associated with pesticide use near schools,” Fadipe said. Reporter Bernice Yeung and senior news applications developer Michael Corey contributed to this story. This story was edited by Robert Salladay and copy edited by Sheela Kamath. Andrew Donohue can be reached at adonohue@revealnews.org. Follow him on Twitter: @add.